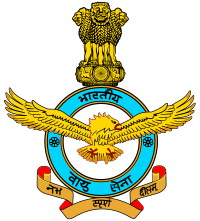 Indian Air Force has published Advertisement for below mentioned Posts 2019. Educational qualification, age limit, selection process, application fee and how to apply are given below. Educational Qualification: Candidate should have passed Intermediate / 10+2 / Class XII or Equivalent Examination in any stream/subjects approved by Central / State Education Boards with minimum 50% marks in aggregate as well as in English in Class XII or equivalent examination.